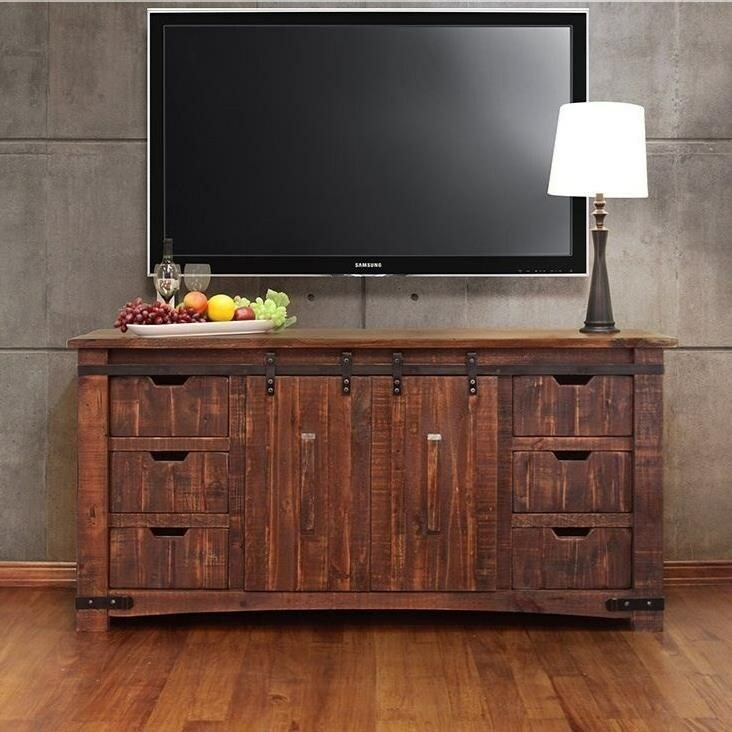 This large 70" TV stand will make a great centerpiece in your living room or den. 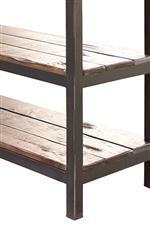 The stand has rustic design elements such as a distressed finish and metal accents. Two doors with have sliding hardware and six drawers provide plenty of storage space for games and other media. The Pueblo 70" TV Stand with Sliding Wood Doors by International Furniture Direct at Furniture Mart Colorado in the Denver, Northern Colorado, Fort Morgan, Sterling, CO area. Product availability may vary. Contact us for the most current availability on this product.